When you get the call to arms, reach for rifle that has proven itself time and again in battles around the globe: the Battlemaster. 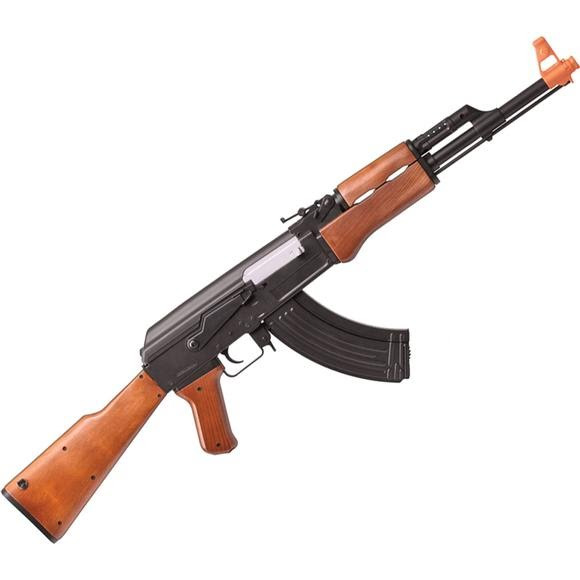 With the realistic styling of an AK47, this AEG can go from semi-auto to full-auto capable of firing over 565 shots per minute up to 200 FPS. The Battlemaster features sling mounts and there's a sling included for comfortable carry. When you get the call to arms, reach for rifle that has proven itself time and again in battles around the globe: the Battlemaster. With the realistic styling of an AK47, this AEG can go from semi-auto to full-auto capable of firing over 565 shots per minute up to 200 FPS. The Battlemaster features sling mounts and there&apos;s a sling included for comfortable carry. The magazine capacity is 430 rounds. A 7.2 V 350 mAh Ni-MH battery and charger are included.